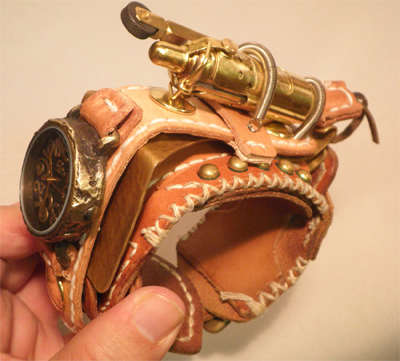 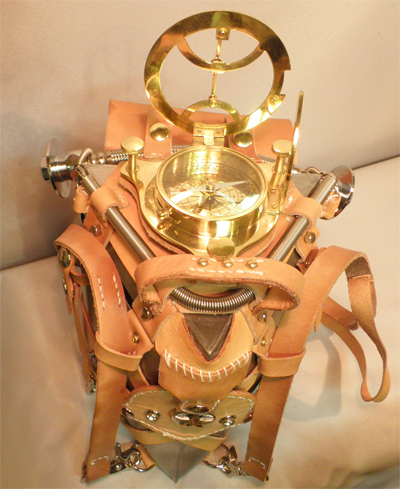 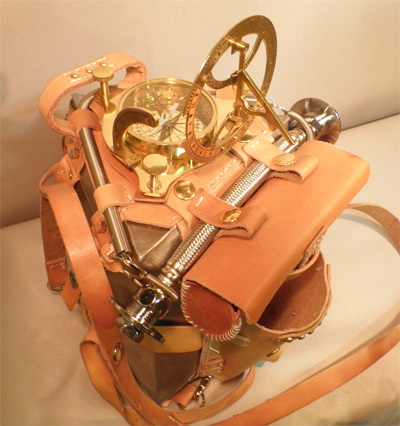 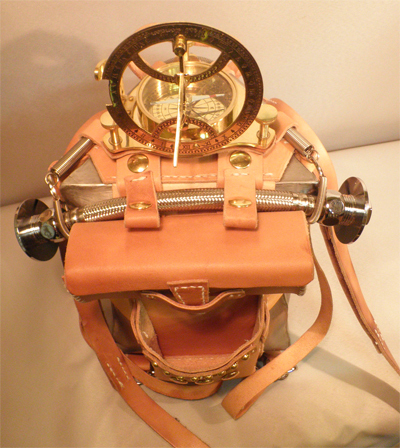 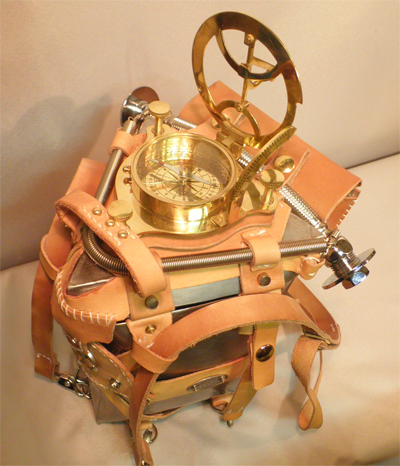 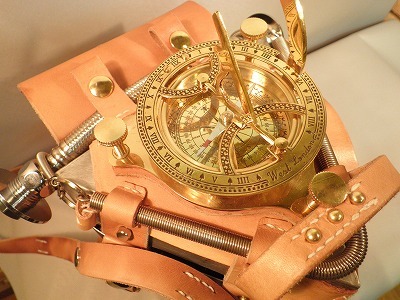 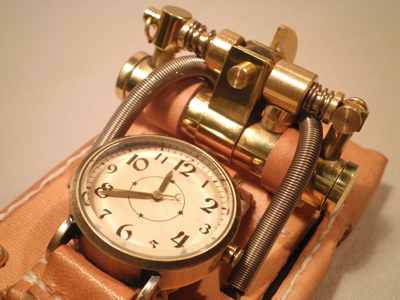 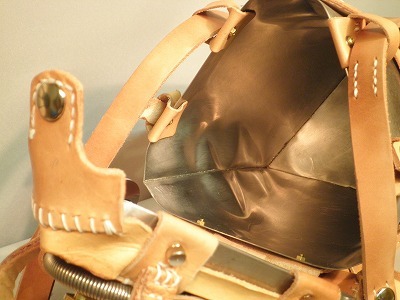 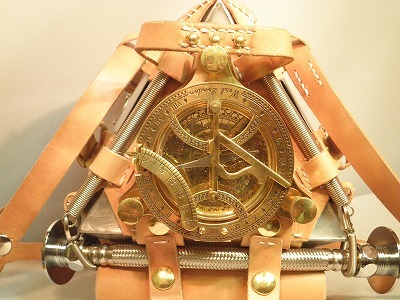 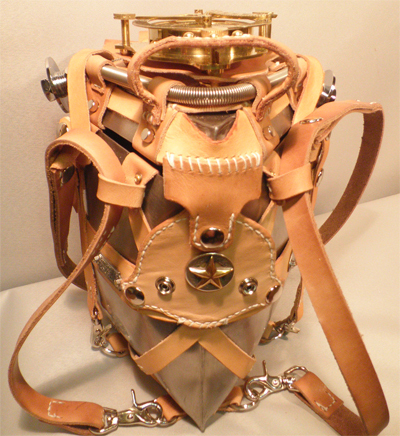 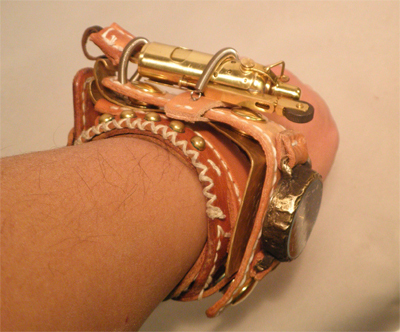 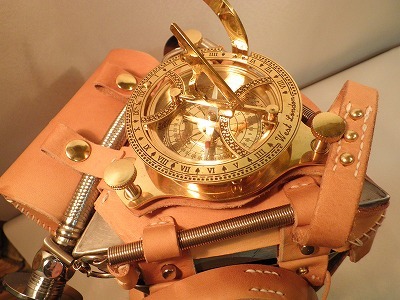 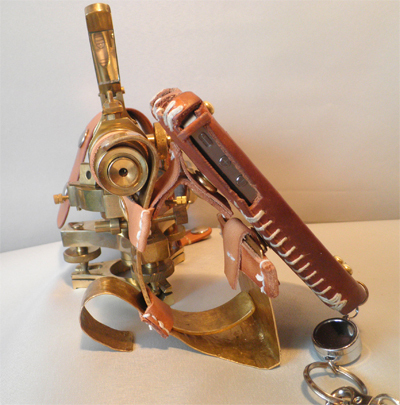 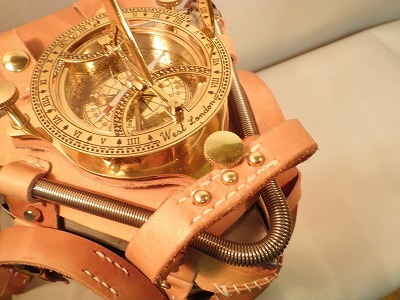 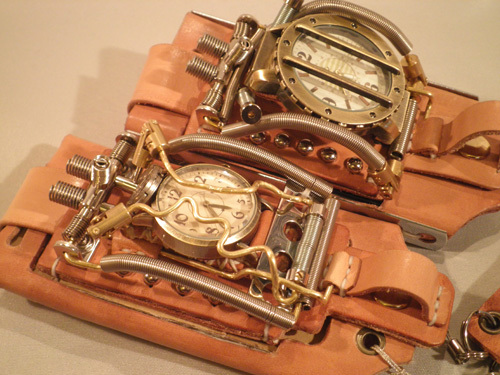 ステンレスバッグ 革のメガネケース、日時計などを装備する　面白いバッグ　Triangular Bag of Stainless steel, Chap.2 "Steampunk, Sundial with Compass"
This is the collaboration with Mr. Koichi Mogi, again. 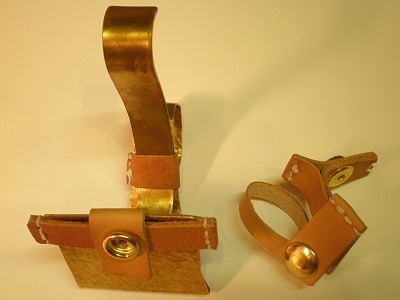 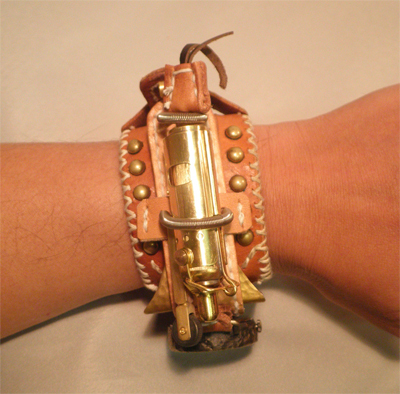 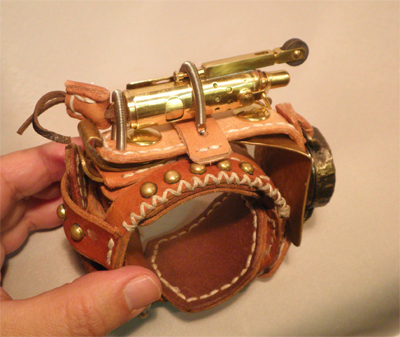 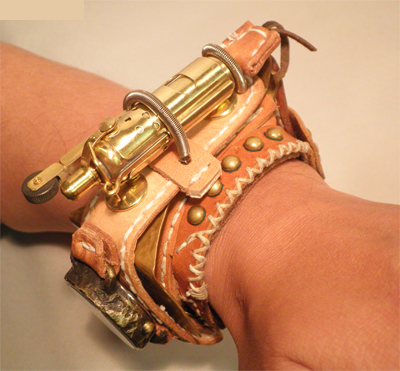 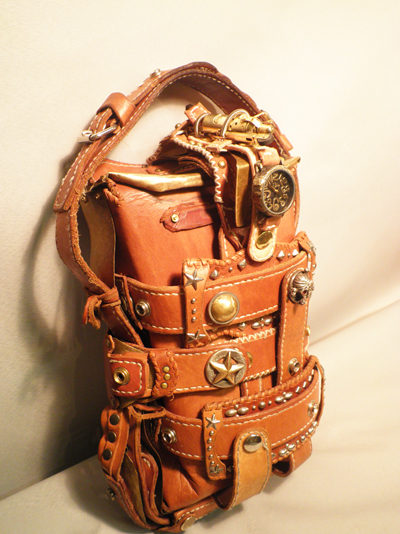 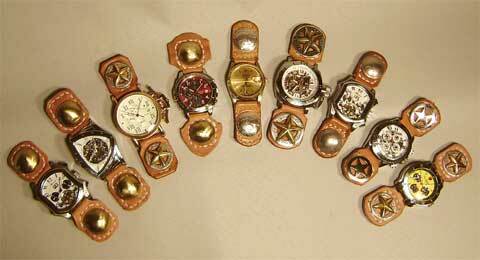 The series of "gragra" is the art of metal and leather. 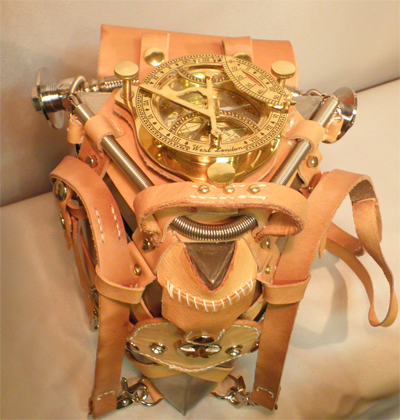 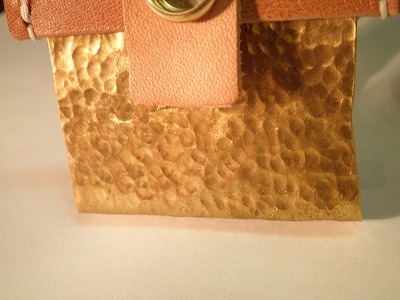 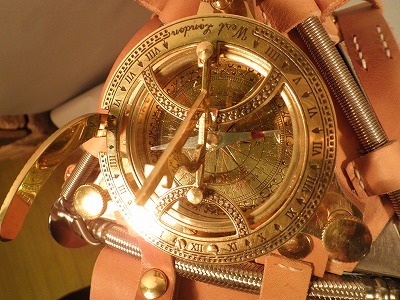 The bag has the sundial of brass on its top. 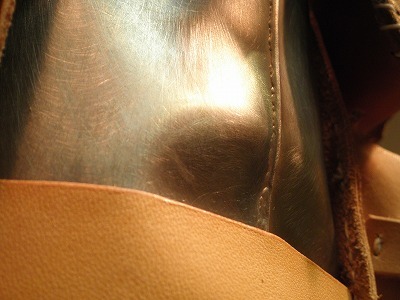 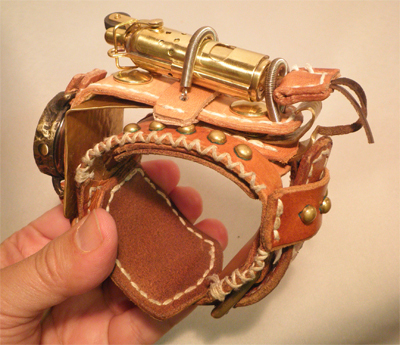 which is made of leather. 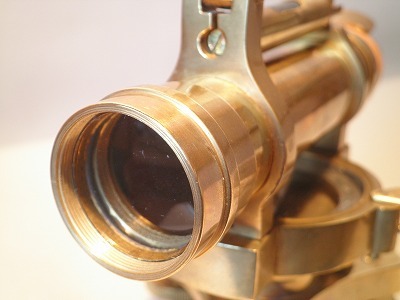 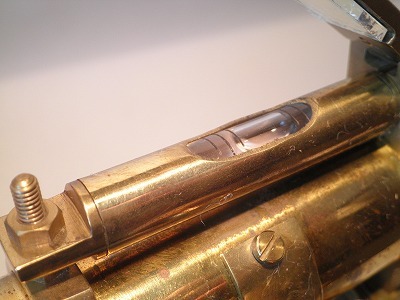 You can find the compass for open the top of brass. 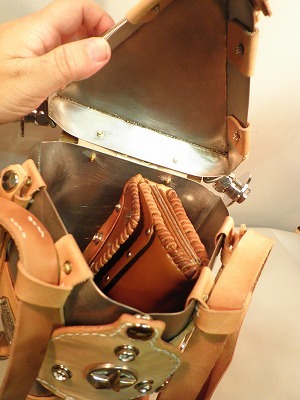 It has the pocket under the case for glasses. 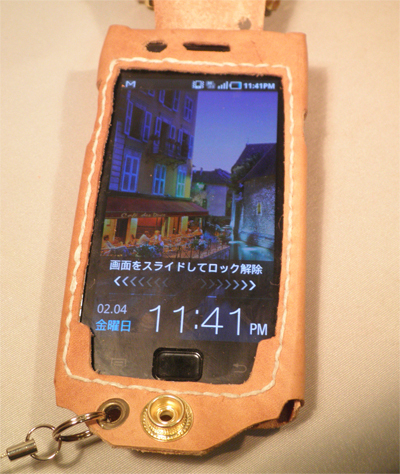 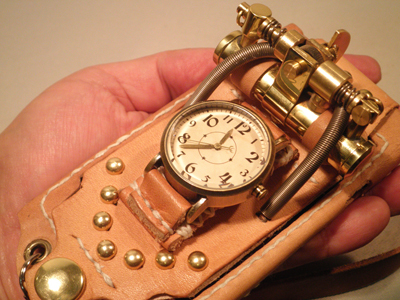 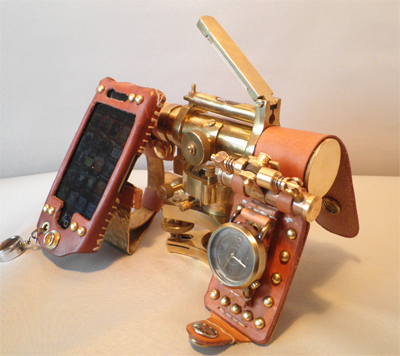 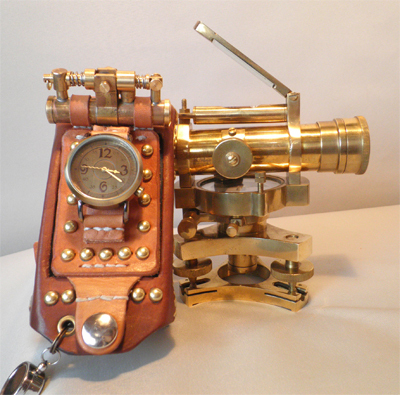 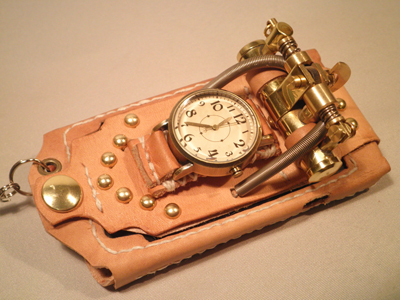 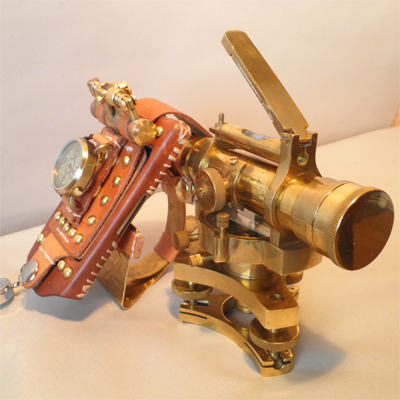 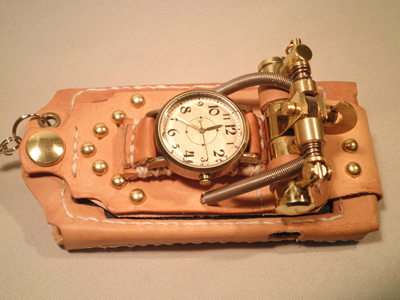 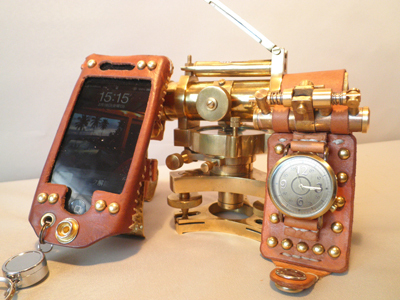 スチームパンクなスマートフォンベース基地 Steampunk Smartphone Base - "I'm home!" 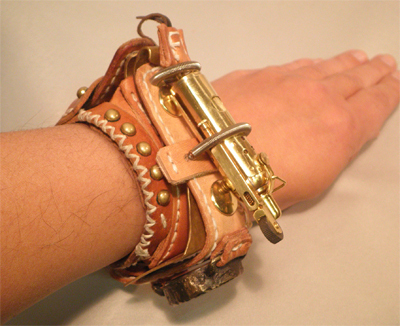 when you back to your home. 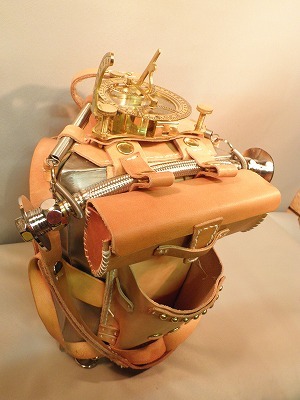 It feels like "return to base"... Ha-ha! 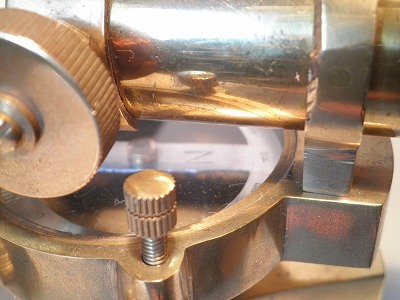 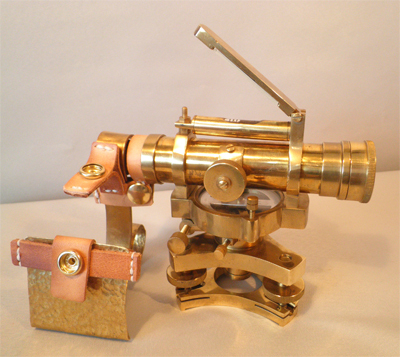 I just couldn't leave this "precision instrument" made of brass with dust. 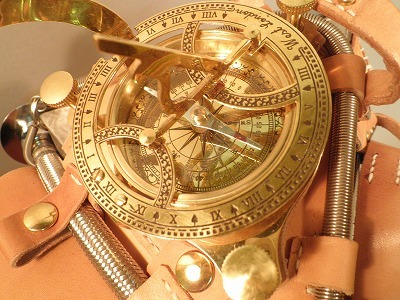 Gazing with rapture... isn't it?? 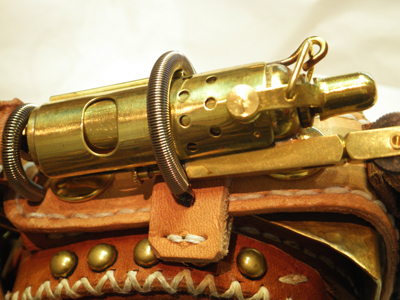 All of metal parts are made of brass. 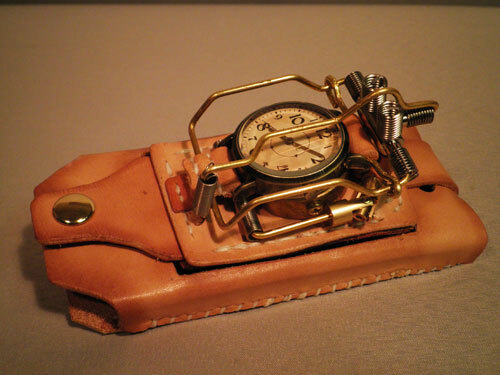 I have no idea for the details of this "precision instrument". 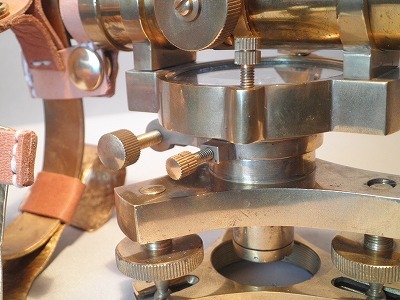 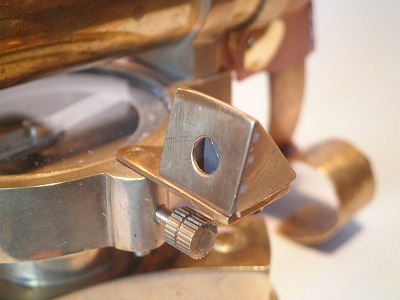 a loupe, and a mirror.